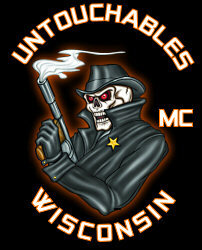 The Untouchables Motorcycle Club is deeply saddened to announce the tragic loss of one of our own. John "Buckets" Hurley slipped the surly bounds of Earth to touch the face of God on September 11, 2005 returning home from a UMC fallen officer family benefit in Indianapolis. He died as he lived...helping those in need. John dedicated his life to public service and helping those who could not help themselves and never asked for anything in return. His work on behalf of the widows and children of fallen police officers embodied all that is the Untouchables Motorcycle Club. He loved his family. He loved Chicago. And he loved riding side by side with his Brothers. His Irish eyes were always smiling and that is how he will be remembered by all who had the honor of knowing him. 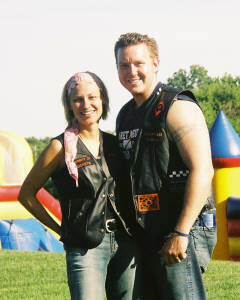 John leaves behind his wife, Cheryl, and their unborn child. The entire Untouchables Nation stands with his family and they will forever be part of us. Ride on Brother. We will meet again someday. 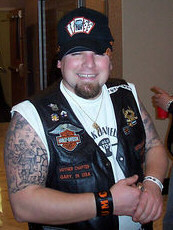 The Untouchables Motorcycle Club is deeply saddened to announce the loss of one of our own. Eric “Junior” Forster slipped the surly bounds of Earth to touch the face of God on February 23, 2008 as the result of a tragic car crash. Eric dedicated every aspect of his life to public service and his selfless acts of charity on behalf of the widows and children of fallen police officers will be remembered forever. He leaves behind his loving fiancée, Robin, countless family, friends and a sea of Black and Orange that will ride in his honored glory for eternity. The entire Untouchables Nation stands with his family and they will forever be a part of us. Ride on Brother. We will meet again someday.